Looking for a way to make a positive impact in someone’s life? Bob Moore Auto Group is proud to sponsor the Bob Moore Blood Drive. Help this need by giving blood with the Oklahoma Blood Institute and you could win a brand new 2018 Subaru Impreza! Plus one lucky winner will drive home a 2018 Subaru Impreza. For more information, visit Obi.org. 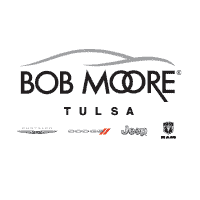 Save lives with the Oklahoma Blood Institute and Bob Moore Auto Group. We look forward to seeing you!